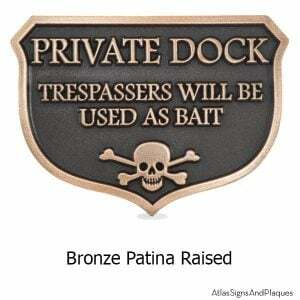 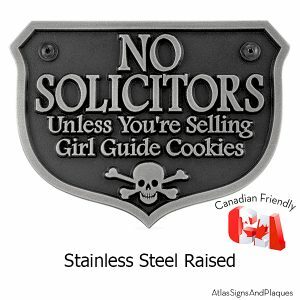 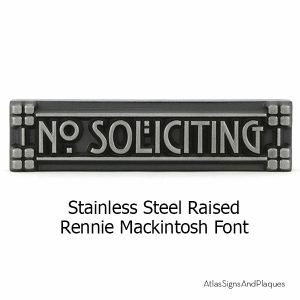 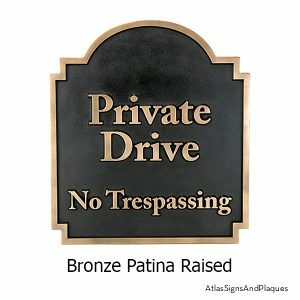 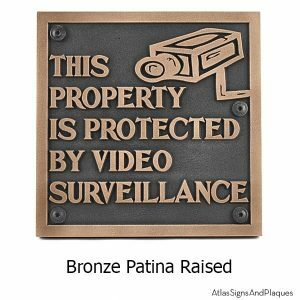 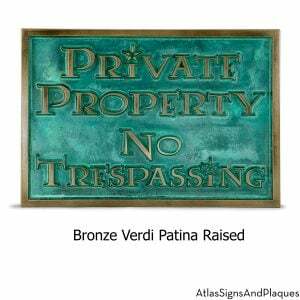 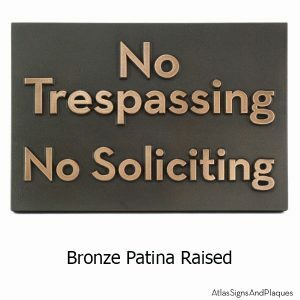 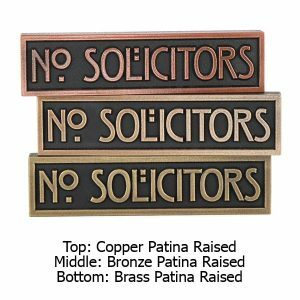 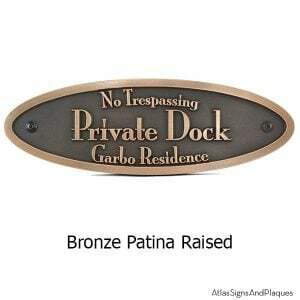 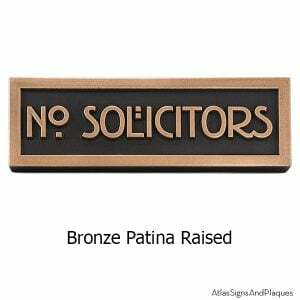 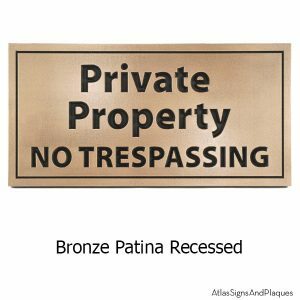 Get Your Privacy Back With Our Customizable No Trespassing Signs No Soliciting Plaques! 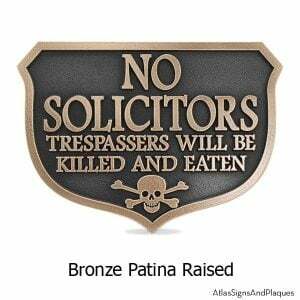 Whether your need is to keep someone out with a “no trespassing sign”, “no soliciting sign”, or “no hunting sign”. 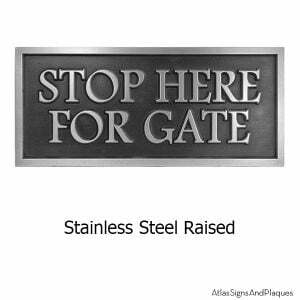 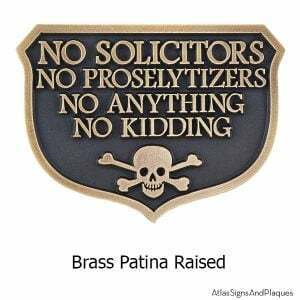 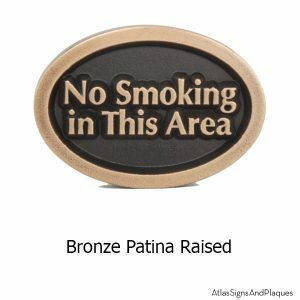 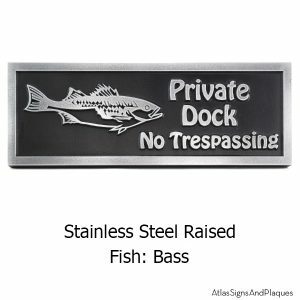 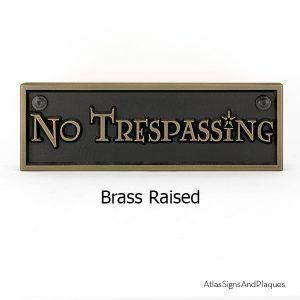 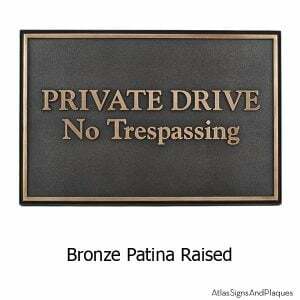 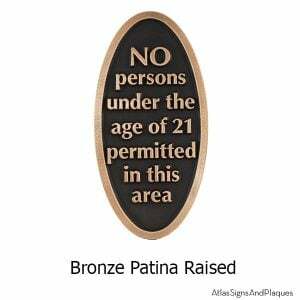 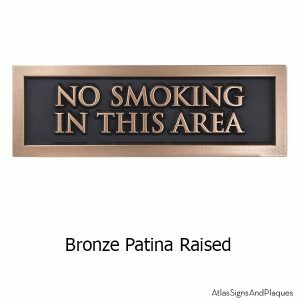 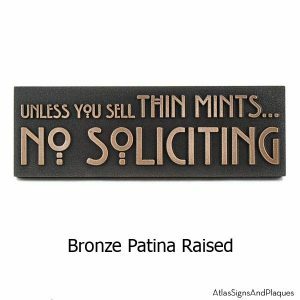 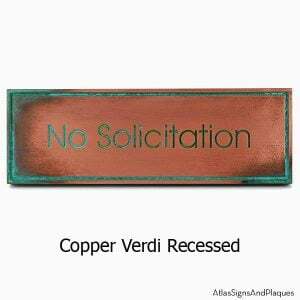 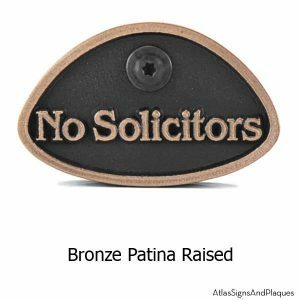 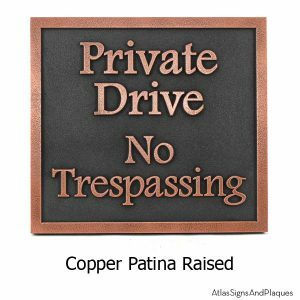 Or, to inform them in a more personal manner with a “no trespassers sign”, “no hunters sign”, or “no salesmen sign” or “no solicitors sign”, Atlas has the Privacy Sign you need to be certain that your space and time is respected. 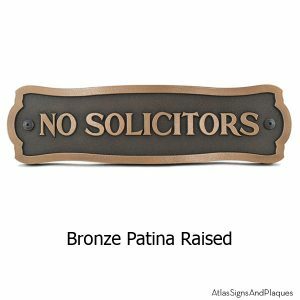 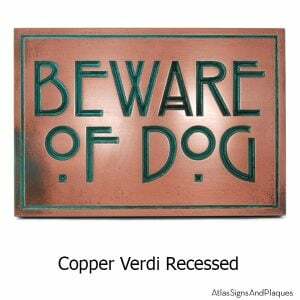 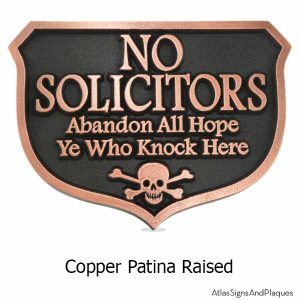 Door-to-Door Salespersons, Political Hacks, and Fanatics Beware! 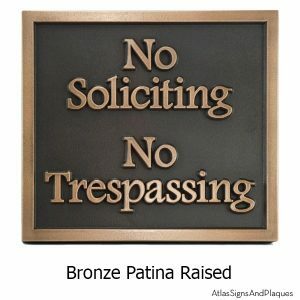 These signs work and your days are numbered! 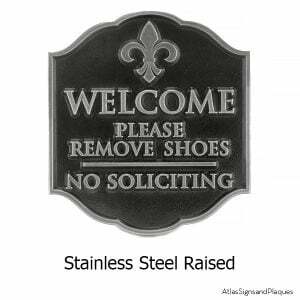 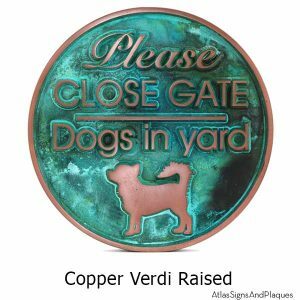 Change the message slightly and you have your Please Remove Your Shoes Plaque, Beware of the Dog Sign, Keep Off the Grass Sign, Service Animals Only Sign, or Do Not Disturb Sign. 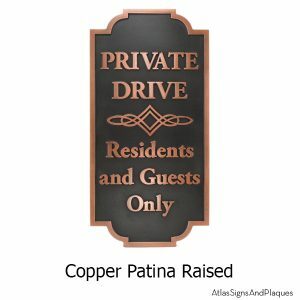 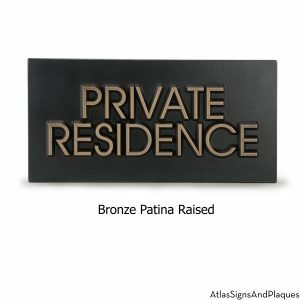 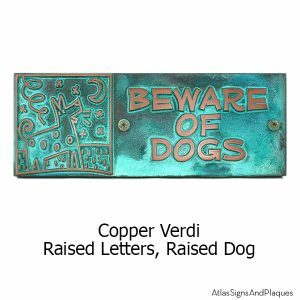 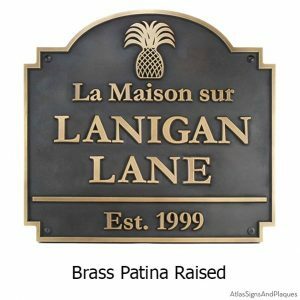 Every plaque is Custom, so your personal message will get out Loud and Clear.